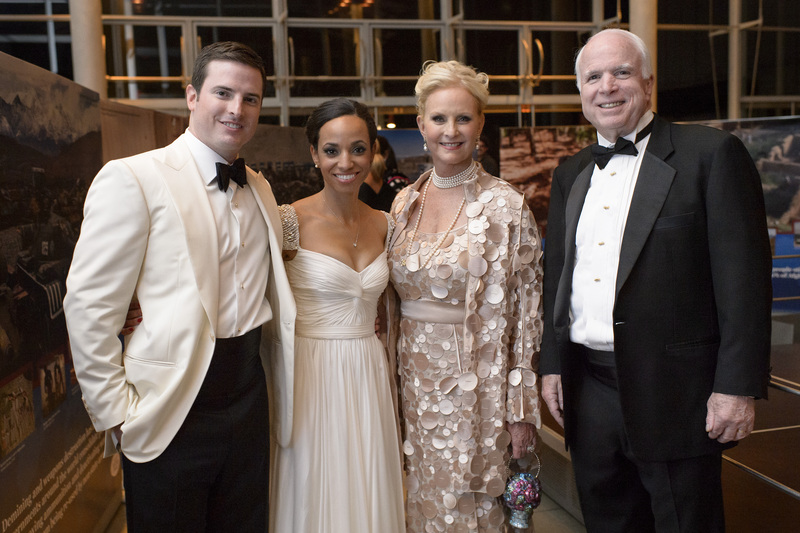 Sen. John McCain has a new daughter-in-law. And she’s an Air Force reserve captain. Chrisman Studios. Courtesy of the Office of Sen. John McCain. People Magazine reports that the senator’s son, Jack, married Renee Swift over the weekend in San Francisco. Swift, 29, met Lt. McCain, 27, in Guam, where he serves as a helicopter pilot in the Navy. According to Swift’s LinkedIn, she is the chief financial officer in the 36th Medical Group at Andersen Air Force Base, Guam. All the McCain children were in attendance and former presidential candidate Mitt Romney also stopped by. The ceremony was held at San Francisco’s Grace Cathedral, with a reception following at the California Academy of Sciences.